Material Connections brings together three contemporary fibre artists; Meghan Price, Anna Torma and Xiaojing Yan, whose varied use of materials gives a sampling of the dynamic world of fibre arts. These artists are diverse both in their use of media, as well as their varied cultural backgrounds and experiences. Materials Connections is part of the World of Threads Festival 2012. The process of creating textiles is filled with symbolic action. Knitting, quilting, embroidering and weaving techniques involve looping, joining, tying, and stitching, each with the possibility for infinite shifts. Fiber can reference textile traditions in the home, to clothing, to wear and tear, to the forms of the body, to systems of order, to systems in nature. The history of use and meaning embedded in textile materials can become the aesthetic and conceptual basis of a work. Within the materials and processes associated with textile traditions, there lies endless potential for connection and variation. Fibre is a familiar material. Every culture has a connection to it and their own traditions within the medium. Within a contemporary art context, fibre arts are challenging our perceptions, not only in their mixing of using craft processes and materials within fine art contexts, but also with the melding/sharing of cross-cultural practices to add to the broader conversation of the medium. Meghan Price marries in-depth explorations of material and textile construction techniques with the contemplation of less tangible systems. Her process is motivated by a desire to mine patterns for meaning and borrows their narratives and systems of logic to direct the construction of poetic models and diagrams. Anna Torma produces technically brilliant and conceptually complex embroidery works. Torma finds inspiration in the storytelling of Visionary and Outside Art and the ways in which these art forms communicate on an emotional level. Torma uses fabric as both a physical and conceptual ground for her works, using thread as a connective vein through which she can incorporate a wide variety of visual information from landscape, figure, text and abstraction. The results are surreal tapestries, illustrating alternate realities of Torma’s invention. Xiaojing Yan creates mixed media installations, which express personal ideas of identity, history and communication from the perspective of an immigrant working between cultures. Yan employs traditional Chinese materials and techniques and reinvents them within a Western aesthetic and presentation. 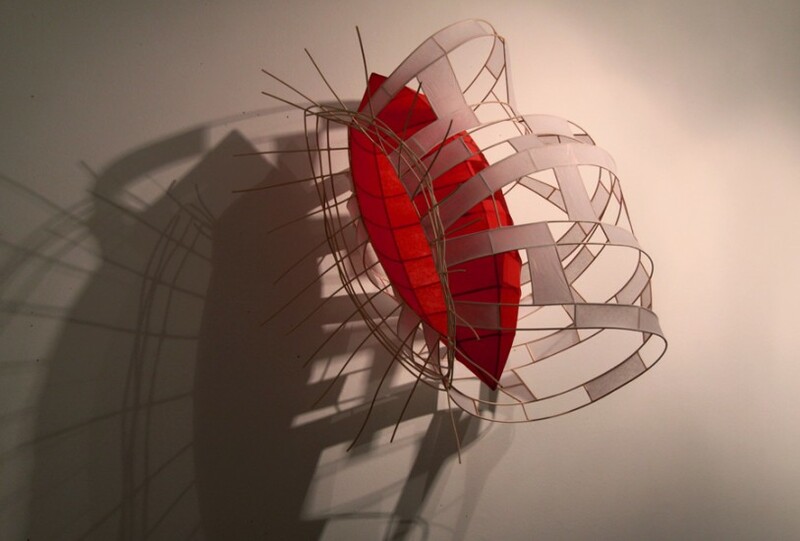 In several of her series, Yan uses the reeds and fibre papers of Chinese lantern making to mold the fragile cocoons of an immigrant life – where staying safe and protected within an unfamiliar, often intimidating cultural environment is essential to emerging and adapting with a reincarnated identity.